Great location! Close to the subway and to get groceries. Great food in the area too! 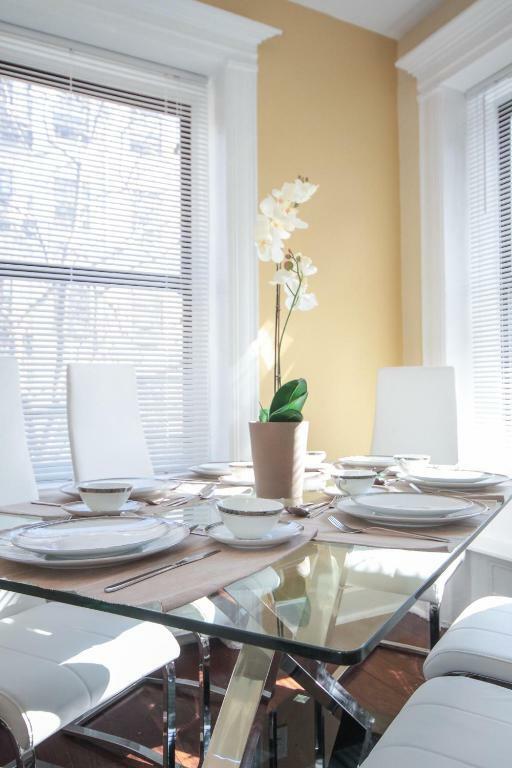 The apartment very comfortable and nice the neighbors very attentive , places close to eat and the attention of owner and the women of house keeping. Would return to this place, I loved. La proximité du metro. Le calme du quartier. La surface de l'appartement. Goede service, prima shuttle en key service. Het huis is goed onderhouden en een prima uitvalsbasis voor het bezoek aan het centrum van NY. Vlak bij de metro. 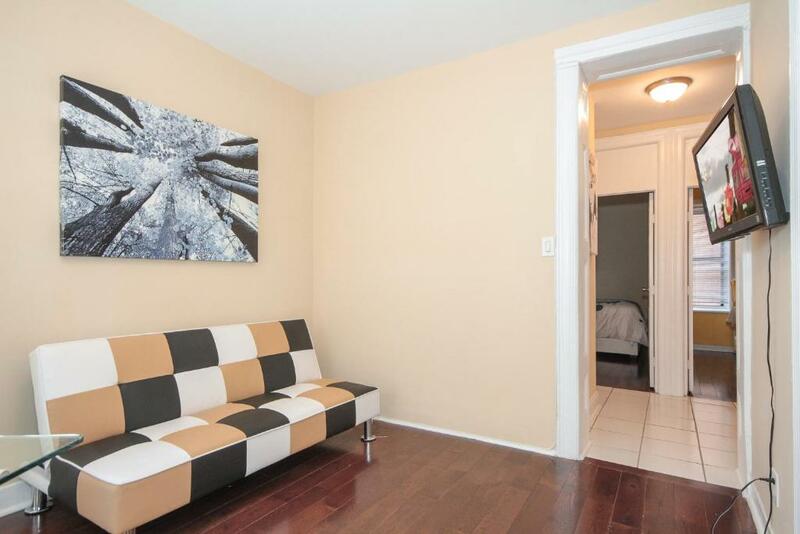 Appartement spacieux et propre. Acces facile et proche de la ligne 1 du metro. Petit detail a preciser : les clefs sont a recuperer dans un cadenas qui est attache a la grille devant l immeuble. Nous avons laisse les clefs au meme endroit car nous n avions pas d instruction pour le depart. Nous aurions aime avoir un accueil par une personne. Appartement a recommander. Le logement correspond à la description et l'hôte est très réactive. Il y a bien trois chambres, deux avec lit double et une avec deux lits superposés. Chacune possède un placard. La proximité du metro ligne A est un atout. L'environnement est vraiment plus calme que d'autres endroits de la ville. L'appartement est situé au rez-de-chaussée. L'équipement est correct pour le prix (pas de lave-vaisselle). 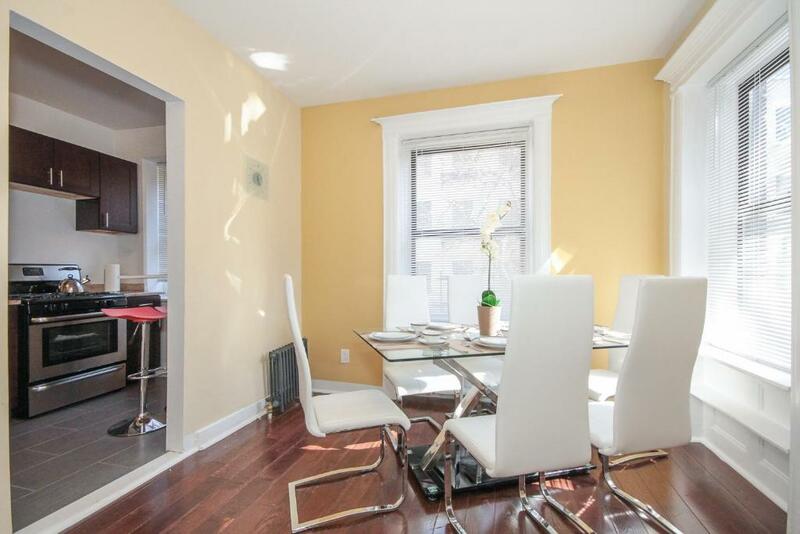 Three Bedroom Apartment - West 148th Street This rating is a reflection of how the property compares to the industry standard when it comes to price, facilities and services available. It's based on a self-evaluation by the property. Use this rating to help choose your stay! 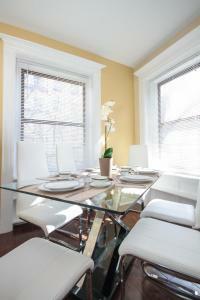 Offering a shared lounge, Three Bedroom Apartment - West 148th Street is located in the Harlem district in New York. This apartment also has free WiFi. The air-conditioned apartment consists of 3 separate bedrooms, 1 bathroom with a hair dryer, and a seating area. A flat-screen TV and Blu-ray player are available. 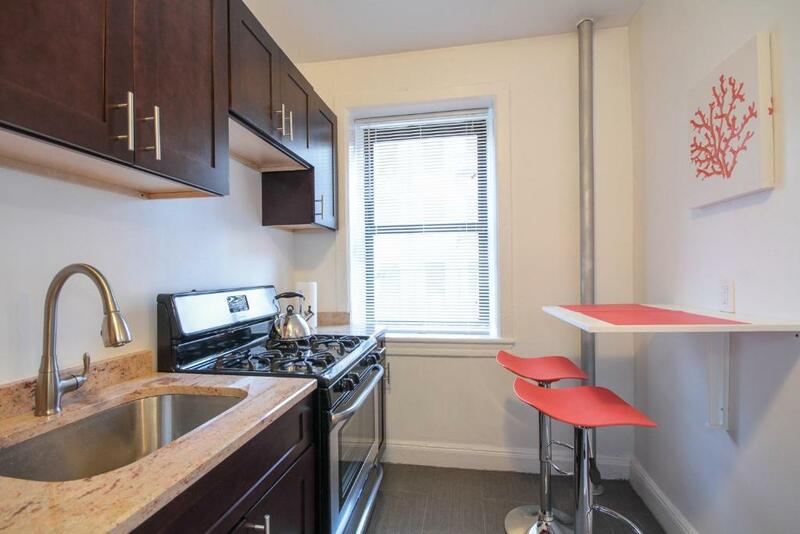 Yankee Stadium is 1.6 miles from the apartment. 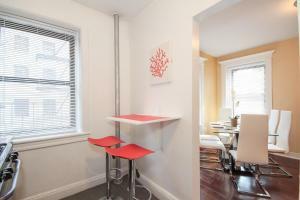 The nearest airport is LaGuardia Airport, 8 miles from 3 Bdrm Apt 148th St. 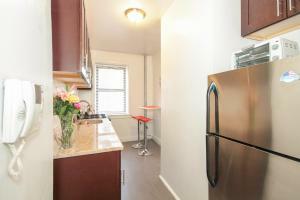 When would you like to stay at Three Bedroom Apartment - West 148th Street? 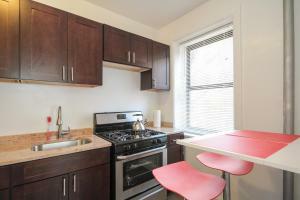 House Rules Three Bedroom Apartment - West 148th Street takes special requests – add in the next step! 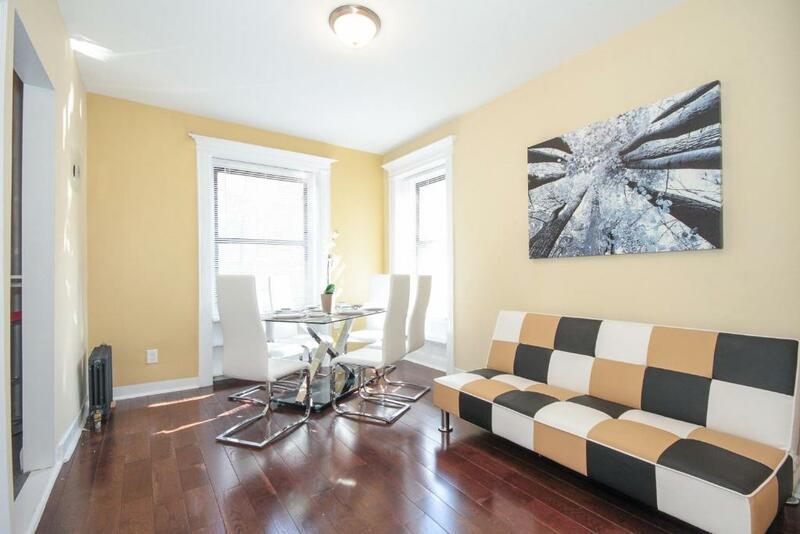 Three Bedroom Apartment - West 148th Street accepts these cards and reserves the right to temporarily hold an amount prior to arrival. Please note that this property requires a USD 50 deposit to cover any incidental charges. Please inform Three Bedroom Apartment - West 148th Street of your expected arrival time in advance. You can use the Special Requests box when booking, or contact the property directly using the contact details in your confirmation. The television didn’t work the whole time we was there, hdmi cables had been broken. I have already spoken to the host regarding what I/we didn’t like & she stated that she would take care of that problem right away& that she was unaware of & she appreciate me calling her & telling her about it. The property charged me 25 dollars for a coffee bowl broken accidentally. Too expensive!!!! with that money one can buy a whole coffee machine!! Street parking was difficult to find. The apartment itself was really old and surrounded by a very bad neighborhood with people peeing and doing drugs on the street. Extremely dangerous to be walking back home after dark from subway. I will not stay there again.